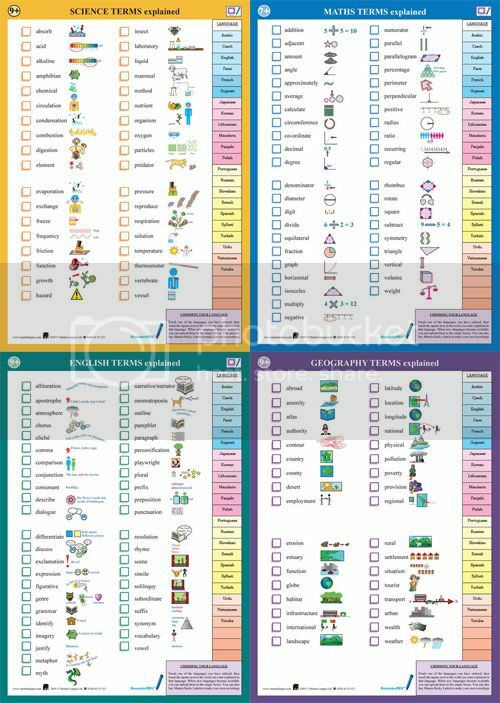 The Multilingual Key Phrases For School Chart is an invaluable tool for teachers and administrators working in schools with a linguistically diverse student body. Simply select the language that you want to hear from the right side of the chart with the PENpal Audio Recorder Pen, and then tap a phrase to hear it in the selected languages. This will allow teachers to communicate more easily with student language learners as well as parents who do not speak English well. The following languages are available on the chart: Albanian, Arabic, Bangla/Sylheti, Bulgarian, Cantonese Chinese, Czech, English, Farsi, French, Haitian Creole, Hungarian, Japanese, Lithuanian, Malayalam, Mandarin Chinese, Nepali, Panjabi, Polish, Portuguese, Russian, Shona, Somali, Spanish, Turkish, Urdu and Swedish. The chart has 2 sides. The first side includes numerous key phrases to use with parents and children, reassurances for children who are hurt or ill, days of the week, health, numbers, and people. The second side of the chart includes parts of the body, snack time, emotions, settings, tools and school supplies, outside play and colors.